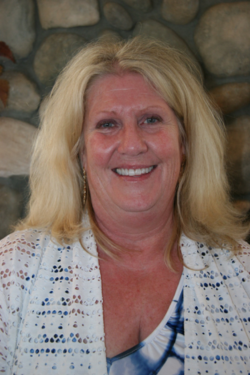 Anne Stokman has 36 years’ experience as a registered nurse and educator. Her nursing background includes hospital, home health, hospice, case management, public health, education, community leadership, management, diabetes education and academia. Anne currently serves as an Assistant Professor of Nursing at CSUStanislaus where she teaches Community Health Practicum, Pre-Licensure Nursing Practicum and is the Clinical Coordinator for Community Health. Her prior teaching experience includes teaching Medical-Surgical, Fundamentals and Clinical at the Vocational Nursing level and as faculty with UC Davis Family Practice Physician Residency Program. Her education includes an Associate Degree in Nursing from Modesto Junior College, Bachelor of Arts in Social Services from California State University Stanislaus, Masters of Science in Nursing/Health Care Education from University of Phoenix. Anne is a National Certified Diabetes Educator. She is a National School Nurse Association Trainer for “Helping Administer to the Needs of the student with Diabetes in Schools”. She is currently serving on the Del Puerto Health Care District Board as an elected Director. She is an active member of the American Association of Diabetes Educators, American Diabetes Association, California Diabetes Coalition, Society of Teachers of Family Medicine, Association of Community Health Nursing Educators and Honor Society of Nursing Sigma Theta Tau International. Her current research centers on preventing Type 2 Diabetes in children and nursing diabetes pedagogy.